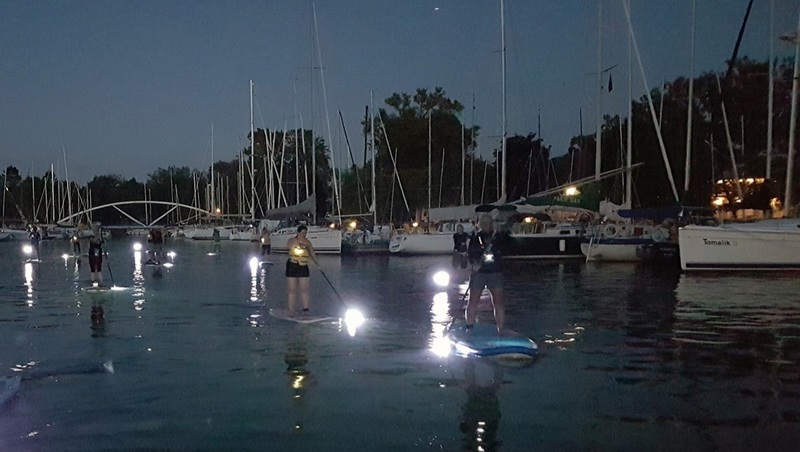 Night SUP Adventure: the most exhilarating experience Toronto has to offer. 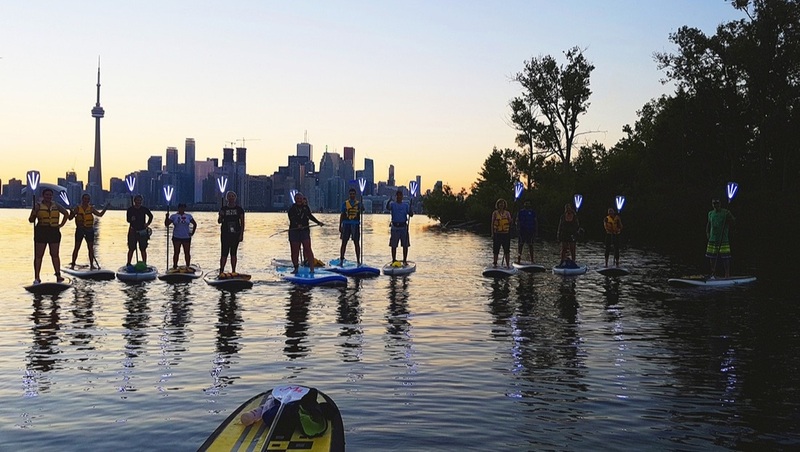 Enjoy a calm sunset tour as you paddle your way through the serene waterways of the Toronto Islands. 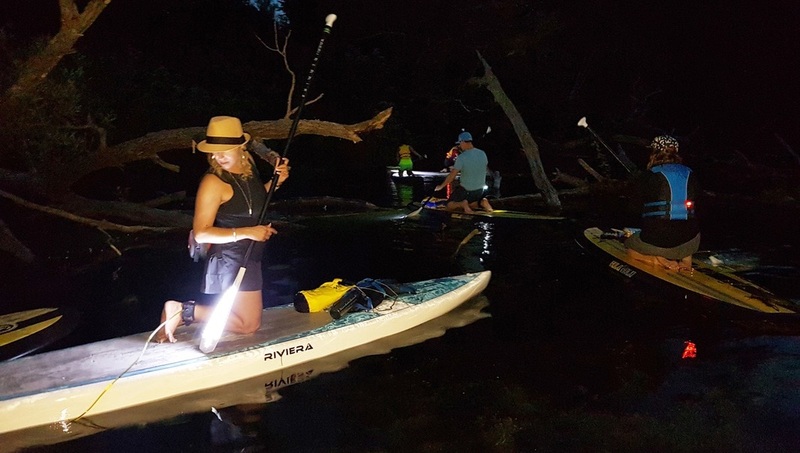 With your illuminated torch paddle at hand, you will light up hidden paths that will lead you to breathtaking views of the city skyline, island homes and wildlife. Early bird pricing now available until May 12! Enter code SPRINGNIGHT at checkout for $10 off per person. *subject to change based on weather and safety conditions. All skill-levels welcome. 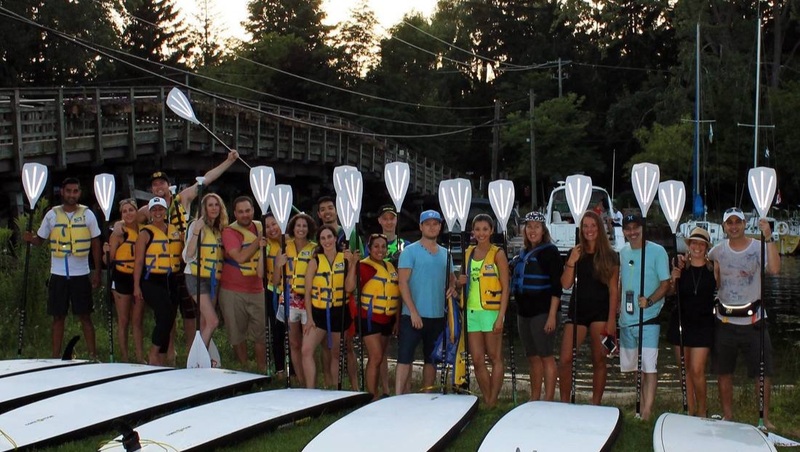 Paddleboard instructors will be on-hand to assist beginners and anyone new to night paddling. All equipment provided. The Island Night SUP Adventure begins just before sunset at our launch site on Wards Island by the foot of the Algonquin Bridge (about a 5 minute walk from the Wards Island Ferry). Our guides will be waiting for you. For details on how to get to our launch site, see our contact page. ​If you are brand new to paddleboarding, we’ve got you covered! Our accredited instructors will give you some quick lessons to ensure you have the skills necessary for an enjoyable experience. We begin with a leisurely sunset paddle under the Algonquin Bridge past island homes and boat houses, arriving at the sandy shoals of Sunfish Cut. As we round Algonquin Island, a spectacular vista of the Toronto Harbour skyline comes into view. We take a short break here for photo opportunities and an optional short swim in the warm, shallow waters. As dusk falls, it’s time to light up your Torch Paddle! 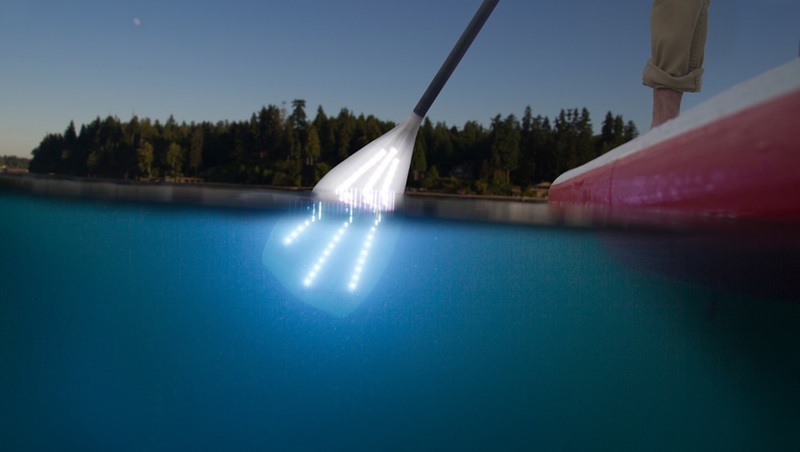 Each Torch Paddle features an LED lighting system built seamlessly right into the blade and shaft of the paddle providing a blazing 720 lumens of light. Lights shine on just one side of the blade; lighting up everything in front of you, without blinding you or those behind you. ​Next we go on an adventure through one of Toronto Island’s hidden passageways, Turtle Alley. Our guides will show you how to expertly use your Torch Paddles to safely navigate your paddleboard around fallen trees and sunken logs. 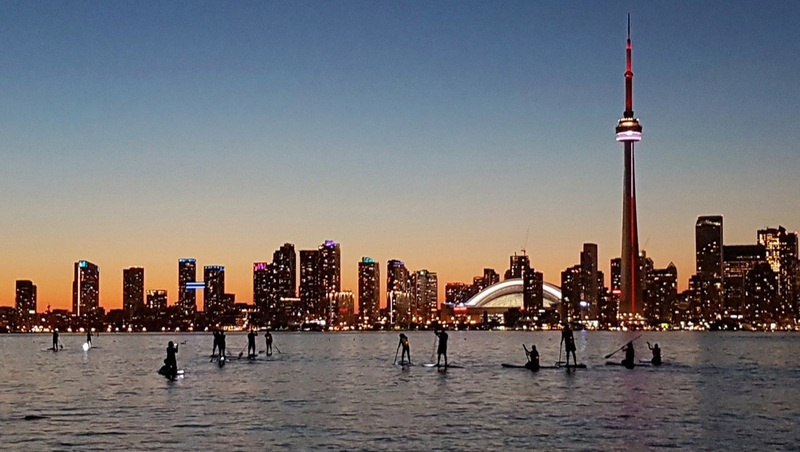 Once through Turtle Alley, our Night SUP Adventure takes you into Snug Harbour - one of the best vantage points to see Toronto’s famous skyline. You’ll see the CN Tower, Roger’s Centre (Skydome) and Toronto’s skyscrapers brilliantly illuminated. ​You will receive an automatic email once you book outlining your next steps. If you don't receive the email (if it's sent to junk mail), click here for instructions. Please plan your trip. Be prepared to forfeit your experience with no refund if you do not arrive on time. If tour does not reach the minimum amount of guests, we may cancel. You will not be charged until a minimum of 4 people have signed up or we decide to run the trip. Important: Your scheduled start and end times vary according to your specific tour date. Please check the schedule below. Arrive early to the ferry docks to ensure that you get to the launch site on time. Take the Wards Island Ferry. For details on how to get to the launch site, see our contact page or your confirmation email once you book through this website. ​Please note that ferry times may change without notice. We are not affiliated with the Jack Layton Ferry Terminal and offer the schedule below to the best of our knowledge.